Available in Gloss or Matte Finish. Volume and Reseller pricing is available. 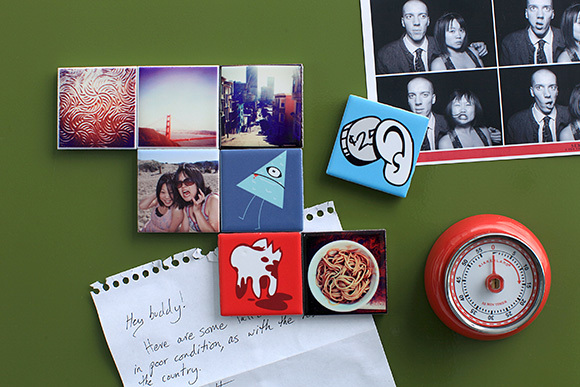 ImageSnap’s Teeny Tile is 2-by-2-inches of ceramic fun! 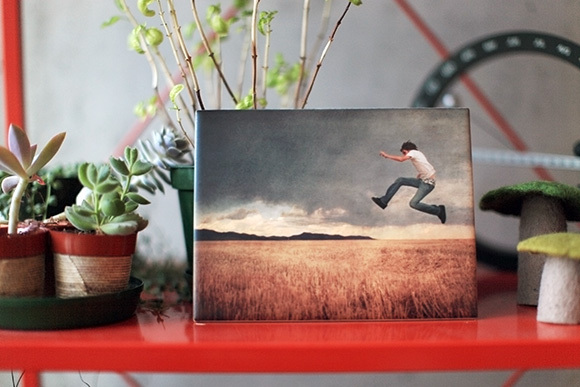 Each photo tile includes a self-adhesive magnet that you can slap on the back. Stick your Teeny Tile on the fridge so everyone can admire it. Perfect size for your Instagram photos. The most popular tile size in the United States is the 4.25″ x 4.25″. That’s why we call it the Classic. 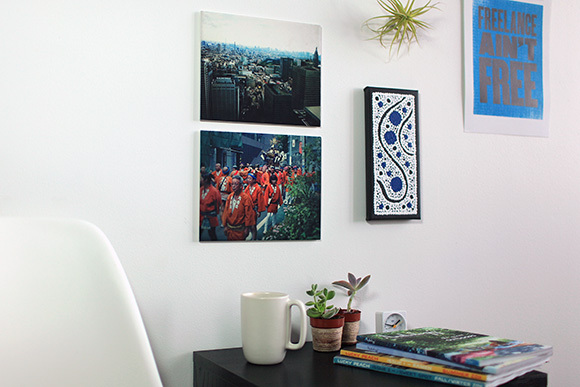 You can put these photo tiles on an easel or hang them on a wall. The Classic is the perfect photo tile for a kitchen or bathroom backsplash. The ubiquitous Subway tile was born in a New York subway station in 1904. Now you can put an image on your own Subway. Popular in kitchens and baths, the tile measures 3” x 6”, which makes it the perfect size for your extremely horizontal photos, drawings or just plain text. 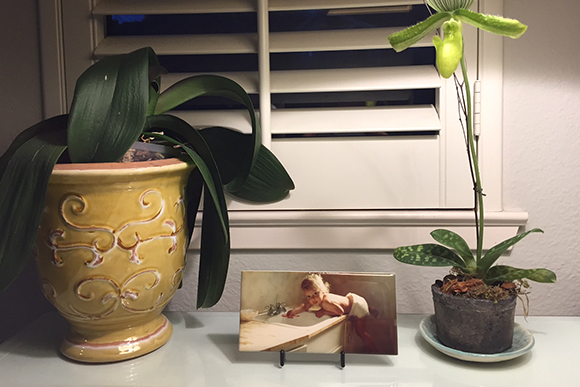 This photo tile is 6″ high and ditto on the length. 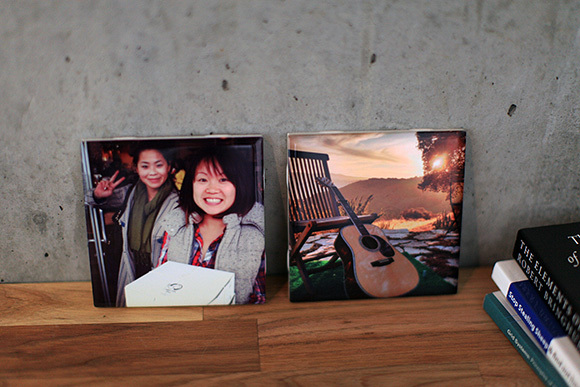 Yeah, it’s a square, but you aren’t if you have ImageSnap print your favorite photo on its face. The Ditto has plenty of real estate for the most intricate photo or painting, and is plenty big for a beautiful portrait. 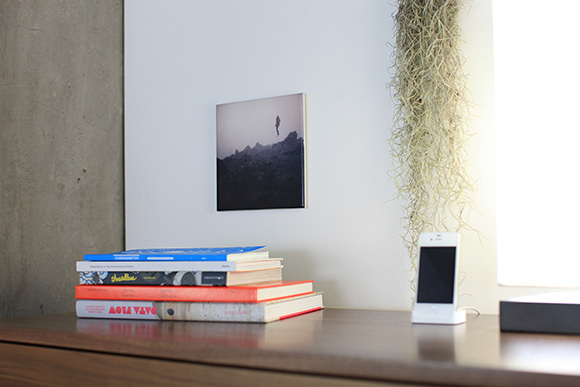 Pivot is the smallest rectangular photo tile in ImageSnap’s collection. Got a vertical photo? The Pivot has you covered. Or rotate the Pivot and print a horizontal shot. ImageSnap sells tons of the Pivot to fine artists and pro photographers alike. We’re talking about a lot of tile here. The Otto is big and it’s bold. Do you want to make a statement with that outrageous photo you just snapped? Then put it on an Otto. The Reflection is a standard photo size, but painters and illustrators love the Reflection too. ImageSnap has printed the Reflection for large art installations as well as one-off portraits to be hung on a wall. We don’t sell photo tile any bigger than the Slab. It’s 12″ x 12″ of pure imagery. The Slab weighs almost five pounds and makes a bold statement no matter where you hang it or lean it. I found this cool glass texture on a bathroom window. I took this photo as we were walking out of Mission Pie, with two fresh pies for my birthday! I love the way the bridge seems to glow in this Instagram photo. This might be my most liked Instagram photo. I walked up a really steep street and captured this amazing view of the city. Our friend wanted to fly kites on her birthday, so we took her to the beach where the wind was howling, I had rented a big flash for my camera and was learning to use it. My friend, Reilly Stroope, did this illustration as part of a giveaway we did at a threadless.com meetup in Chicago! Here’s another illustration by Reilly Stroope we used as part of a giveaway we did at a threadless.com meetup in Chicago! And yet another illustration Reilly Stroope that we used as part of a giveaway we did at a threadless.com meetup in Chicago! There is an awesome restaurant in Sunnyvale, CA, called Shanghai Flavor Shop. They serve these super authentic Shanghainese noodles. Would you believe this photo was taken with an iPhone? My friend, Kyle Kirchhoff, takes iPhoneography to the next level! This is a photo I took in Japan at a sushi restaurant. That’s natto (fermented soy bean) and raw egg - not something I want to eat every day. 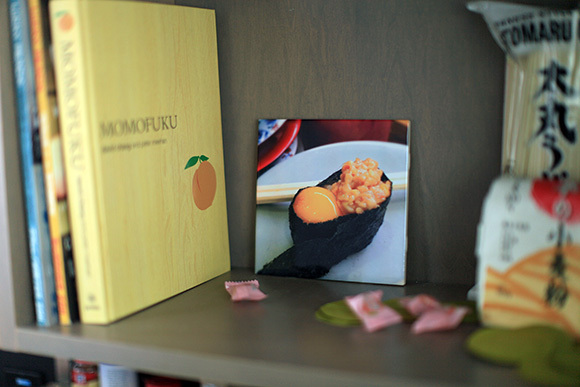 I printed the photo on a Ditto and put it here next to my Momofuku cookbook, which also has some interesting asian food ideas! Cole Rise took this amazing photo and let me print it on a Matte Pivot. I think it looks so cool on this bright shelf amongst my succulents. This is another Cole Rise photo. This photo has a totally eerie vibe. I hung this gloss Otto on the wall above my dresser so that it seems to be floating, just like the photo’s subject. The photo on this matte Reflection was taken with my iPhone 4 during my visit to Japan. These are hung just above a table where I keep issues of Anthology and Lucky Peach. Another shot from my Japan trip. This procession suddenly came down the street. I’m not sure what the event was, but I loved the way everyone’s bright orange clothing popped out against the cool colors in the background. 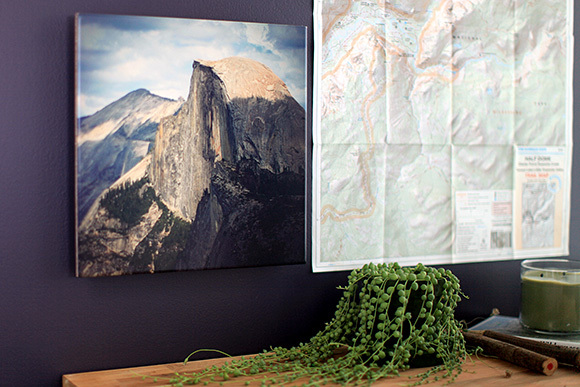 The mighty Half Dome seems so appropriate printed on the mighty Slab, don’t you agree? My friends and I climbed to the top this summer, so I hung it here next to a trail map to commemorate the event. © 2002–2019 ImageSnap Inc. All rights reserved. ImageSnap is a registered trademark of ImageSnap Inc.